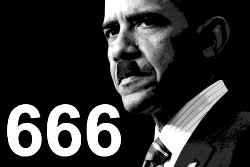 SWITZERLAND, Zurich — Based on breaking news and events, it appears that the Obama administration (at the behest of the CIA Headquarters beneath Lake Geneva) is preparing to stage a wave of so-called domestic terror attacks on the U.S. Department of Veterans Affairs (VA). Although the impending VA-related terror attacks could theoretically transpire anywhere within the United States, breaking news in respect to VA facilities in Oklahoma and Colorado (see list below) suggest that they are the most likely to suffer state-sponsored terror attacks. Exactly what type of VA-related terror is planned is not known, but a gun-related massacre, Oklahoma City Bombing-like attack via allegedly homemade fertilizer explosives, and/or a made-for-TV siege and hostage crisis are the most likely terror scenarios. In order to sell the notion that U.S. government buildings are being targeted just prior to an Oklahoma City Bombing-like attack, it was reported back on May 20, 2015, that a bomb threat prompted the evacuation of 2 federal buildings in Los Angeles, California. The notion of a medical building-related collapse was witnessed back on August 19, 2015, when 1 person was killed and 7 injured after a scaffold collapsed outside a New Mexico medical center. The incident was likely staged in order to set the precedent for a VA building collapse post-terror attack. In order to foreshow the notion of a building collapse in Colorado due to well-placed demolition explosives, USA Today published a report on August 29, 2015, entitled “Watch: 170 Detonations Take Down Denver Building”. In order to provide a timely motive for a so-called domestic terrorist attack on the VA, a new government report was published on September 3, 2015, which stated that 307,000 veterans may have died awaiting Veterans Affairs health care and that nearly 1 million U.S. military veterans have pending applications for health care at VA.
Needless to say, the timely and shocking reports in respect to veterans and the VA were designed to show that U.S. military veterans are dying in mass as a result of the VA’s actions or non-actions, providing a motive and making a veteran-based attack on the VA seem all the more plausible. That same day, September 3, 2015, Fox News published a report entitled “Report Blames VA’s Handling of Contract, Change Orders for Denver Hospital’s Huge Cost Overrun”, highlighting VA hospitals in Colorado just prior to a domestic terror attack on a VA facility in the state. The notion that U.S. military veterans are outraged and taking action was confirmed 4-days later on September 7, 2015, when a U.S. military veteran reportedly purchased 12 billboards across the U.S. which that read “VA is Lying, Veterans are Dying”. In what appears to be more pre-Oklahoma City-like bombing attack propaganda, it was reported on September 29, 2015, that starch-loaded truck ploughed through a playground, crashing into a building and covering the area in white dust. In order to provide a timely motive for a domestic terror attack on Veterans Affairs by enraged veterans, Fox News published a report on October 1, 2015, entitled “VA Apologizes for Ill-Advised’ Ban on Veterans’ Cellphones”. Lastly, in order to highlight Veteran Affairs-related corruption just prior to a false-flag attack by allegedly enraged veterans, Yahoo News published a report on November 2, 2015, entitled “2 VA Officials Refuse to Testify on Job-Manipulation Claims”. According to Wikipedia, there are 22 VA-related facilities in Colorado which fall under the jurisdiction of the ‘VISN 19: VA Rocky Mountain Network’ which is coincidentally headquartered in Glendale, Colorado. While any one of these facilities could theoretically be targeted, VA hospitals and medical centers are the most likely to suffer a state-sponsored terror attack. In order to create the necessary narrative in the media for upcoming domestic terror attacks in Colorado by so-called “right-wing” militia members, the DHS published an 2015 intelligence report warning of a domestic right-wing terror threat. The timely report stated that right-wing sovereign citizen extremists who “reject government authority” are now carrying out sporadic terror attacks on police and have “threatened attacks on government buildings”. The domestic terror attack map released by DHS coincidentally included two alleged attacks in Colorado. Back on April 16, 2015, USA Today published a report entitled “Meeting McVeigh: Given the Opportunity to Express Remorse, He Offered None at All”. Although McVeigh has been dead since 2001, the report was designed to infer that: a) he is alive; and b) he would execute the bombing again if he could, foreshadowing a redux attack. Two days later on April 18, 2015, CNN published a report entitled “Today’s Most-Wanted Domestic Terrorists”, highlighting the notion that even today, domestic terrorists are alive and well in America. In other words, the U.S. is currently being targeted by domestic terrorists. 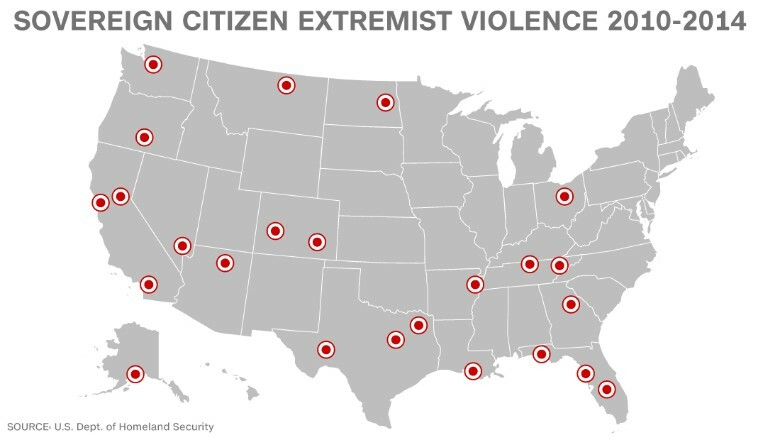 Lastly, on the morning of April 19, 2015, CNN published a report entitled “Homegrown Extremist Threat Remains 20 Years after Oklahoma City Bombing”, confirming, albeit in a de facto manner, that America is still under the threat of state-sponsored domestic terror. UPDATE: Less than 24-hours after the following Truther.org report was published, Veterans Affairs Secretary Shinseki resigned. Unable to execute either VA terror plot, Obama forced Shinseki to resign, ultimately taking away the “motive” for a veteran terror attack on a VA facility. SWITZERLAND, Zurich — Unable to execute the terror attack planned for the VA Office in Phoenix, Arizona on May 22, 2014, it now appears that the Obama administration, at the behest of the CIA, will attempt to execute an attack against a VA hospital in order to demonize veterans and spark a civil war in America between the U.S. government and America’s many veterans. Although a VA hospital attack could theoretically occur in any U.S. state, it will most likely transpire in the state of North Carolina which has been a recent hotbed of state-sponsored terror plots (see below). Predictably, just prior to an attack, a North Carolina VA hospital was placed on “lockdown” after a bomb threat on May 29, 2014. Whether the bomb threat and subsequent 2-hour evacuation provided the necessary cover for the installation of weapons and/or explosives inside the hospital is not known, but it’s highly likely. Bomb squads are called “bomb squads” because they routinely rig explosives inside prospective targets in the aftermath of allegedly random bomb threats. In order to bring media attention to the VA scandal just prior to an attack, it was revealed on May 29, 2014, that a so-called “watchdog” group has now called for VA Secretary Eric Shinseki to resign. Shinseki’s actions (or lack thereof) have been highlighted in the media in order to enrage veterans and create the media narrative for a revenge-like attack on the VA.
As previously reported, the evidently fabricated scandal broke early in May of 2014 over U.S. veterans who faced excessive and sometimes deadly wait times. The scandal was evidently part of a psyop to provide a timely motive for a “veteran” attack against the U.S. government, namely the U.S. Department of Veterans Affairs (VA). Just prior to an unprecedented terror attack on a U.S. hospital, a number of attacks and warning have surfaced in respect to healthcare facilities and doctors. For example, on April 23, 2014, the FBI warned that the healthcare sector was especially vulnerable to cyber-attacks. Although the FBI report was made in respect to cyber terrorism, the report consummated the terms “healthcare” and “attacks”, a preview of things to come. Coincidentally, on April 24, 2014, just 2 days after the FBI report, 3 American doctors shot to death at an Afghan hospital. A day later on April 25, 2014, a man was formerly charged with the attempted murder of a doctor in California. Most recently on May 27, 2014, it was reported that gunmen on motorbikes killed an American doctor in Pakistan. Needless to say, these healthcare-related terror events have set the precedent for far greater acts of healthcare-related terrorism. Staring with the 2012 Democratic National Convention Terror Plot, Truther.org has identified numerous North Carolina-related terror plots. Aside from the fact that North Carolina has been a hotbed for state-sponsored terrorism, U.S. Special Forces recently completed a series of terror exercises in North Carolina on April 22, 2014, under the code name of “Robin Sage”. Interestingly, the terror drills involved “gunfire, explosions and low-flying aircraft”. Back on February 11, 2014, Truther.org issued a terror warning in respect to “race war” attack on the February 12, 2014, men’s basketball game between Duke and the University of North Carolina. Despite the campuses only being 11 miles apart from each other, the game was shockingly postponed due to bad “weather”. David Chase Taylor is an American journalist and the editor-in-chief of Truther.org. Taylor currently lives in Zürich, Switzerland where he has applied for political asylum after the release of The Nuclear Bible, a book credited with foiling a state-sponsored nuclear terror attack upon Super Bowl XLV in Dallas, Texas on February 6, 2011. 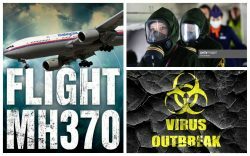 Taylor has also authored The Bio-Terror Bible, a book and website exposing the global bio-terror pandemic planned for 2014. To date, David Chase Taylor has blown the whistle on over 100 state-sponsored terror plots, including the man-made asteroid attack planned for 2014, and the drone strike which killed “Fast and Furious” star Paul Walker. Taylor was also the first to expose Alex Jones’ treacherous links to STRATFOR. SWITZERLAND, Zurich — In order to create the media narrative for U.S. veteran-related terror attack or gun-related massacre against the U.S. Department of Veterans Affairs (VA), a scandal broke early this May over U.S. veterans who faced excessive and sometimes deadly wait times at a VA hospital in Phoenix, Arizona. Although a gun-related massacre is the most likely form of VA terror, there is always the chance that the Obama administration, at the behest of the CIA, could use demolition explosives to bomb a VA facility in the spirit of the Oklahoma City Bombing. In order to bring unprecedented media attention to the Phoenix VA scandal just prior to a veteran attack, President Obama gave a speech on May 21, 2014, in which he stated that he won’t fire Veterans Affairs Secretary Eric Shinseki, ultimately adding more fuel to the fire. In what conveniently serves as both “motive” and “bait” for an attack on the Phoenix VA Office, it was just revealed that Obama’s Deputy Chief of Staff, Rob Nabors, will travel to Phoenix, Arizona, on May 21, 2014, to visit the facility and interview the interim director of the VA office. Interestingly, the “Arizona Central” newspaper published a report in respect to Rob Nabors visit entitled “Obama’s VA Trouble-Shooter coming to Phoenix Facilities”, ultimately foreshadowing that a “shooter” is coming to the VA office. In the event that Nabors (an African-American) is killed in a VA terror attack, the alleged perpetrators (i.e., U.S. veterans) will no doubt be labeled and demonized as “racists” and “Nazis”. The notion of VA terror was recently witnessed on February 5, 2014, when a Veterans Affairs worker was gunned down inside a VA health building in Vancouver, Washington. Roughly 3 months later on May 5, 2014, one person was also injured in a Veterans Affairs shooting in Dayton, Ohio. If U.S. veterans have actually carried out the aforementioned VA attacks, chances are they would have actually killed at least one person. Needless to say, both VA shootings appear to have been staged in order to set the precedent for an impending VA massacre in which the body count is far higher. In order to further enrage U.S. veterans as well as provide a timely “motive” for a terror attack on a VA facility, it was revealed on May 21, 2014, that the Director of Phoenix VA Hospital (where vets died from health care delays) received an $8,500 bonus in the month of April. In order to create even more buzz surrounding the VA, it was revealed the same day that the Obama’s VA Secretary has now rescinded the Phoenix VA director’s bonus. Evidently, the entire VA bonus story was fabricated as part of a publicity stunt designed to bring unprecedented media attention to the VA scandal just prior to a terror attack at one of its many facilities.